River View of the Hunter | Just Shooting Memories! 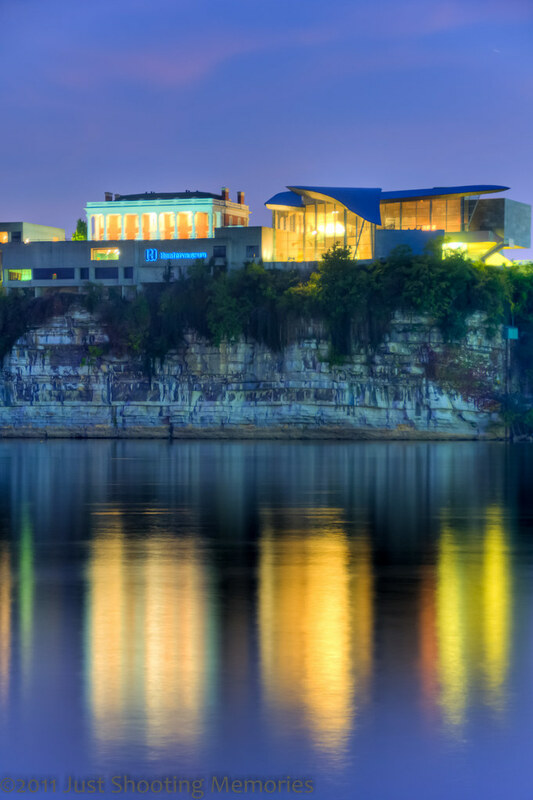 I was taking some magic hour shots of the skyline of Chattanooga when I noticed this cool reflection of the lights from the Hunter Museum in the Tennessee River. I love reflections and could not pass this one up. I don’t know if they have it lit like this every night. Just after taking this, I made my way across the really cool pedestrian bridge just in time to see the end of the light show rehearsal being played out on the front of the Hunter. I wanted to make it back the next night for the actual show (like the choreographed Christmas light shows), but spent too much time elsewhere.